Halloween is a time to shed your skin and play dress up. It's a time for spooks and scares and trick-or-treat, but most importantly, it's about the funny disguises we get to put on and the different roles we get to play. Here's a list of the wackiest and most original celebrity Halloween costumes. a respectively. An odd combination these but Martha Stewart definitely wins this one. 2. Christian Siriano as Cruella De Vil. 3. Gwen Stefani as Cinderella, not so original but still very neatly put together. 4. Seal and Heidi Klum who is clearly a favourite on this list but you have to admire her determination to outshine herself each year. 5. Heidi Klum in his inventive meat suit. 6. 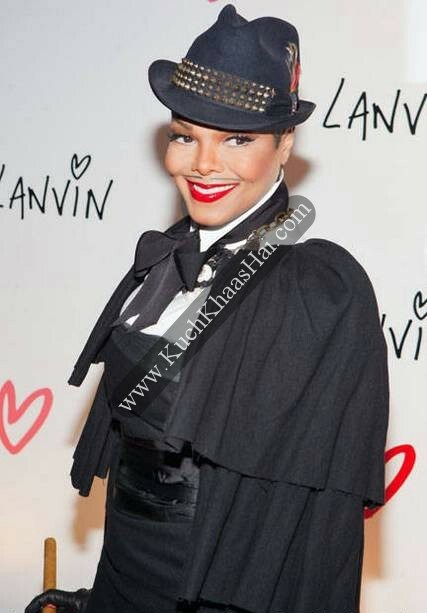 Janet Jackson looks ever so pretty even as a man. 8. Kate Beckinsale and her beau as Frankenstein and his bride. 9. The voluptuous Kim Kardashian as Poison ivy is the closest resemblance to the actual movie character. 10. Matt Lauer as Paris Hilton. We have to give him points for effort, it's definitely a laugh riot. 11. Michelle Tractenberg as Sally from Nightmare Before Christmas. 12. Nina Dobrev as Hermione is one of the coolest because she got her pals Ron and Harry to come along too.